HERMAN CAIN TO BE NOMINATED FOR FEDERAL RESERVE POST……. President Trump is set to nominate Herman Cain for the US Federal Reserve Board of Governors. 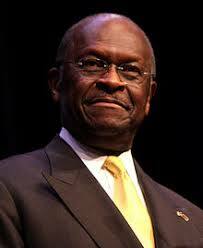 Herman Cain was a former presidential candidate in 2012. He also served as chairman of the Kansas City Federal Reserve Board. His business background includes being the President/CEO of Godfather Pizza, CEO of National Restaurant Association, and being on boards such as Nabisco, Whirlpool, & Reader’s Digest.